As our customers demand innovative solutions that address their critical challenges, together we have the answer. Through a ceremony during at Micro Focus Universe 2019, Micro Focus recognized our partner ecosystem that is not only a strong differentiator, but is also the key to a successful DevOps implementation. 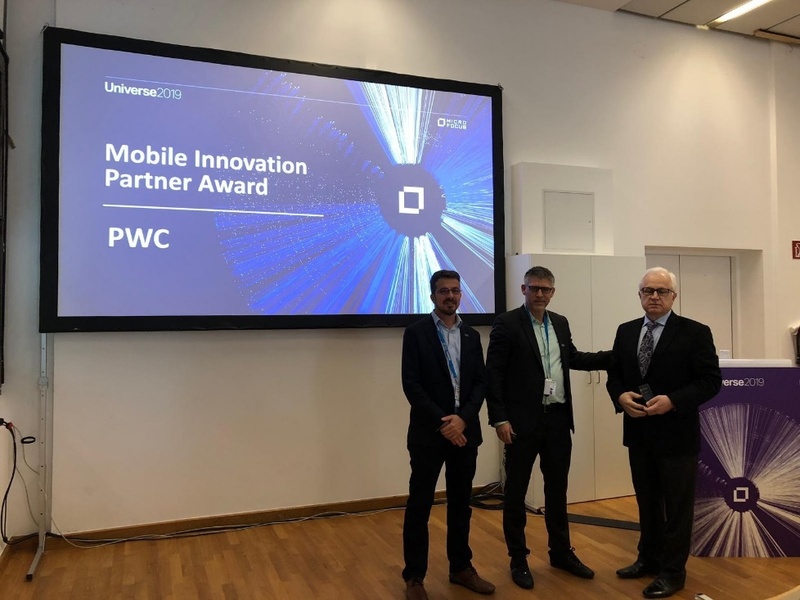 Micro Focus awarded PwC the ADM Mobile Innovation Award for their expertise and innovation with Micro Focus mobile solutions that help to achieve better end-user experience at our customers. During the session Micro Focus reinforced our commitment to strategic partnerships, and celebrated our joint successes with PwC. As a Micro Focus Alliance Partner, PwC’s accounting practice originated in London well over a century ago. As times changed and PwC expanded worldwide, its commitment to clients—never wavered. PwC is supported by a global network of more than 250,000 people in 158 countries with one goal: to help clients businesses thrive. PwC’s professional services, including audit and assurance, tax and consulting, cover such areas as cybersecurity and privacy, human resources, deals and forensics. PwC helps resolve complex issues and identify opportunities across these industries. Congratulations to PwC and the entire Alliance Partnership team! For more information click here.